37 inspected & 22 new car seats distributed! 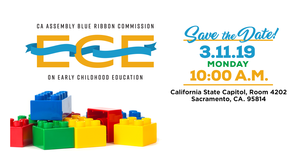 CACFP Week is a national education and information campaign sponsored annually the third week of March by the National CACFP Sponsors Association. The campaign is designed to raise awareness of how the USDA's Child and Adult Care Food Program works to combat hunger. The CACFP brings healthy foods to tables across the country for children in child care centers, homes, and afterschool programs as well as adults in day care. FREE one-stop for all things preschoolers and kids! Technic Business Solutions Delights Options for Learning Toddlers! Thank you to our long-time business support company for donating gifts to our Early Head Start program in Covina! Options for Learning celebrates with snow play, ice skating, visits with Santa & our very own preschool singers!